I am a psychologist in Shoreham, Suffolk County, Long Island, New York. I provide marital therapy and couples counseling. 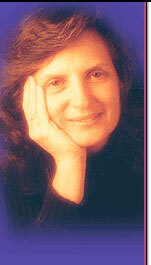 I use Imago Relationship Therapy in my work with couples and am a certified Imago Advanced Clinician. Every day I see couples who feel they have "grown apart;" that their partner no longer seems to care; that they've lost that "in love" feeling. Every day I see couples who re-connect with their partner; who feel loved and cared about again; who feel really heard and understood because they are learning in couples counseling how to heal and grow their relationship. I urge you to seek help for your relationship. There is hope if two people are willing to work at making their relationship better. You will find some helpful ideas through my "Tips of the Week." I hope my website will give you some useful information and help you decide if you would like to make an appointment with me. If you have additional questions, please feel free to call me at the number listed to the left.